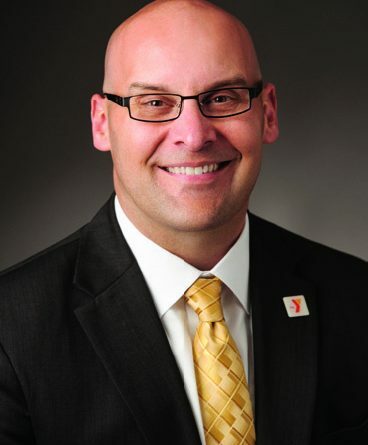 David Martorano, president and CEO of the YMCA of Central Kentucky, has been involved in the YMCA for most of his career, working with the YMCA in major metropolitan areas such as Milwaukee, Detroit, and Cincinnati, before coming to Central Kentucky in January of 2013. He was attracted to Central Kentucky by both the quality of life and the challenge of making an impact on the health of the community. The YMCA of Central Kentucky covers a four-county area including Fayette, Jessamine, Scott, and Franklin counties and serves about 68,000 individuals. Martorano holds a master’s degree in organizational management and leadership from Springfield College. During his spare time he has passion for a healthy lifestyle, Green Bay Packers football, and supporting families who have children with autism. Martorano and his wife Viki have four children. MD-UPDATE: What is the role of the YMCA in Central Kentucky? Youth development – youth programs include after-school care, summer camps, and literacy programs. The YMCA follows national standards that include healthy eating and physical activity in youth development programs. Healthy living – focuses on prevention and providing programs and services to help individuals achieve a healthy lifestyle. We try to meet people where they are at, so our staff can help the individual identify goals and achieve them in a supportive environment. Education on physical activity and healthy eating is an important component. Social responsibility – the YMCA is a community in itself. It’s a melting pot where everybody belongs and feels accepted. The YMCA participates in outreach and makes YMCA services available to all, regardless of ability to pay. What are some of the star programs offered by YMCA? Diabetes Prevention Program – this is modeled on the program developed by the National Institutes of Health (NIH) aimed at preventing onset of type 2 diabetes mellitus (DM). This program was identified as a healthcare need due to the high rate of type 2 DM in Kentucky. Live Strong Program for cancer patients – taught by coaches who have had cancer, this program provides peer support to individuals post-cancer treatment with the goal of reclaiming their health physically, mentally, and spiritually. Silver Sneakers – this program, which provides subsidized membership for seniors through many healthcare plans, offers specialized activities and socialization to maximize the health of our senior population. Several thousand seniors participate. Summer literacy program for youth – aimed at first and second graders who are falling behind in their reading skills, it focuses on narrowing the achievement gap and minimizing summer learning loss. Using certified teachers, it provides literacy skills and enrichment activities with the goal of getting children back on reading level by fourth grade. Education and reading skills tie directly to the health of the individual and the community. How does the YMCA engage with healthcare providers in the community? 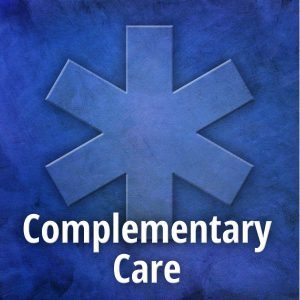 In addition to insurance providers, we partner locally with KentuckyOne Health. They have space in our Beaumont and North Lexington facilities and have access to our facilities for their clients. There is a trend of more hospitals collaborating with YMCA programs. I encourage healthcare providers to increase their awareness and referral of patients to specialized programs offered by the YMCA. We have the facilities, qualified staff, and a non-intimidating atmosphere. The YMCA also has a role in watching health trends and identifying unfulfilled opportunities in the community. I serve on the Fayette County Board of Health and recognize the need for improvement in health statistics on diabetes, obesity, and heart disease in Kentucky. 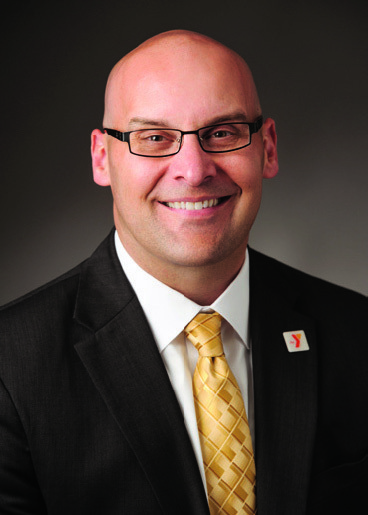 What does the future look like for YMCA? I often ask “What does the future of our services look like?” While I would like for all facilities to be shiny and new, I also recognize a possible role for virtual membership in the YMCA utilizing the latest technology to increase services. Currently, a new YMCA facility is under construction in the Hamburg area of Lexington with an opening in the summer of 2016, and the North Lexington YMCA is under renovation with a completion later this year. I’m excited about the challenges of improving health for central Kentuckians and the role of the YMCA in providing a breadth and depth of programs to meet the needs of our diverse population.